With the AccuMASTER 2-in-1 Digital Level and Angle Gauge you can find true level and precisely check angles on saw blades, jointer fences, sharpening planes, drill press and band saw tables, bevels and many more precision tools. The strong magnetized base lets you attach directly to any metal surface � tables, blades and more. 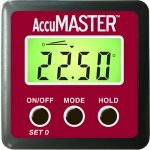 The AccuMASTER 9" level accurately finds plumb, level and every angle in between - anywhere. You can even set it to give you an audio alert when you find plumb and level. When you're working in tough spots you can easily read the bright LED display, even if the level is upside down. It is IP67 Certified - meaning it is waterproof and dustproof and operates in the toughest of working conditions. It will give you accurate measurements in any weather, from -4° F to +140° F.
Increase efficiency in the field or in the office with fast, accurate solutions for Square-ups, Loads, Area, Volume, Rebar, Drop, Stairs and much more. Circular Solutions: Circumference, Arc, Cone, Column and More! 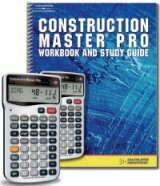 The Construction Master Pro Desktop is the most complete construction-math calculator on the market! With many powerful new built-in solutions and expanded preference selection; it�s easy to use for fast, accurate solutions to construction problems. Work Smarter, Build Better, and Improve Your Bottom Line! We've taken the best features of the original Construction Master IV, added some useful new "Pro" functions, and made it even easier to use! An essential jobsite "tool." It's the most complete Builder's Calculator on the market! Construction Master Pro works in and converts between feet, Feet-Inch, fractions, decimal feet, yards and full Metric. 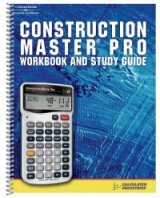 Construction Master Pro for Windows software adds the speed and computing power of your PC to the advanced construction math features found on the Pro hand-held and desktop models. Building industry professionals will save time and money; produce more job-winning bids. The Ultimate Professional Conversion Calculator! The ConversionCalc Plus is an easy-to-use and powerful handheld calculator that provides more than 500 conversion combinations using 70 built-in Standard, Metric and other units of measure. The newly re-designed DigiRoller Plus III can measure lengths, widths and heights, and it can calculate areas, volumes, perimeters and more in U.S. or metric units. The new DigiRoller Plus III puts the controls right in the palm of your hand - no stooping, bending or squinting. Now with 2017 NEC Update! - Compliant with 2017, 2014, 2011, 2008, 2005, 2002, 1999, 1996 NEC� and updateable for future code revisions. Complete wire sizing, integrated voltage drops solutions and conduit sizing solutions: finds motor full-loads, computes fuse and breaker sizes and size overload protection. Saves time, reduces material cost and eliminates code violations on electrical design, estimating and construction jobs. The ElectriCalc� Pro is a complete electrical reference tool that will save time, trouble and money. 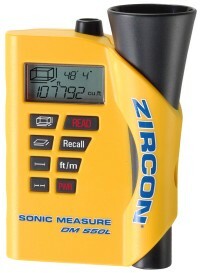 Ultrasonic Distance Measurer With Laser-Pointer-- Helps You See Exactly Where You're Measuring! Forget the cumbersome tape measure! 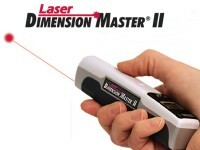 Use the Laser Dimension Master to measure interior distances with the press of a button! True Laser Measuring, Easy to Use, Fast, Affordable and Precise! 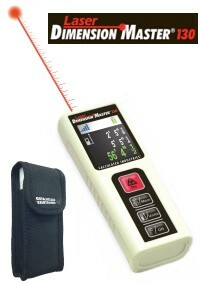 Laser Dimension Master 130 is a one-person laser measuring tool for distances, areas and volumes. It is easier and faster to use than a tape measure and fits easily in your hand, pocket or tool belt. 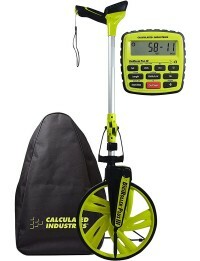 MapWheel - Measure maps the fast, accurate way with the Scalex MapWheel. Here is the perfect tool specifically for taking scaled measurements from maps. Just select the built-in scale factor to match the map and roll the MapWheel. The measurement is displayed instantly. For skilled plumbers who design, install and maintain plumbing systems in commercial, industrial, municipal and residential projects. 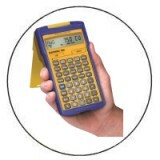 The PlumbingCalc Pro is powerful, rugged and easy to use. Whether you�re working on a commercial or residential project, building or remodeling, it gives you instant answers for your layout and design problems. Just enter the known variables and let the PlumbingCalc Pro crunch the numbers for you. Store/recall up to 20 measurements! NEW, Improved Affordable Plan Measuring Tool! The new ergonomic design of the affordable Scale Master� Pro makes it comfortable to hold, and the dual LCD displays make it much easier to read. Get fast, accurate Linear, Area and Volume takeoffs from blueprints, drawings and maps. It features 72 built-in scales � 6 custom scales and 2 built-in memories. Quickly switch between Metric and Imperial Modes. A Lock switch prevents accidental changes of scale or mode. 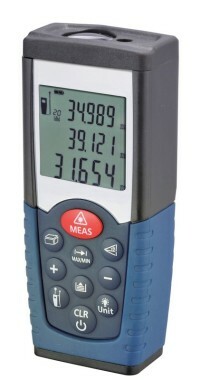 Portable, Digital Take-Off Tool With 91 Built-in Scales & PC Interface - For Construction Estimators, Contractors or Anyone Who Works with Blueprints. The recently updated Scale Master� Pro XE makes it easy to do Linear, Area and Volume takeoffs with speed, accuracy and confidence when estimating, bidding or planning. Instantly send values to your favorite PC spreadsheet or estimating program with this 15-foot USB cable specifically designed for the Scale Master Pro XE. Saves time and keystrokes and eliminates transposition errors. Compatible with Windows� 2000, XP and Vista 32-bit operating systems. No additional software or drivers needed. Requires Scale Master Pro XE - Model 6135 (Sold Seperately). The included PC Interface cable lets you transfer rolled values from the Scale Master� Pro XE directly into commonly used spreadsheets or estimating programs, saving countless keystrokes, saving time and reducing the potential for costly transcribing errors. The PlanWheel SA2 is the perfect tool for taking scaled measurements from blueprints, maps and plans. Just select the built-in scale factor to match the plan and roll the PlanWheel. The measurement is displayed instantly. The XLU3 PlanWheel is the perfect tool for taking scaled measurements from blueprints, maps, and plans. Just select the built-in scale factor to match the plan and roll the PlanWheel XLU3. The measurement is displayed instantly. The industry standard take-off tool for entering linear measurements from your blueprints, maps, or plans into any Windows program. Just roll the scaler wheel along your print, then click to instantly transfer the measurement into your program. The "First-Ever" Wireless Plan Wheel! Scale-Link Wireless PlanWheel lets you scale dimensions into your PC up to 25 feet away!